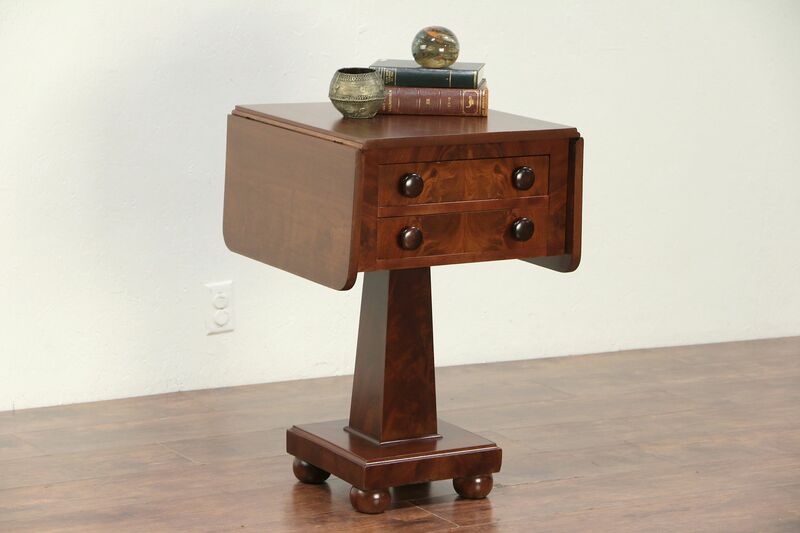 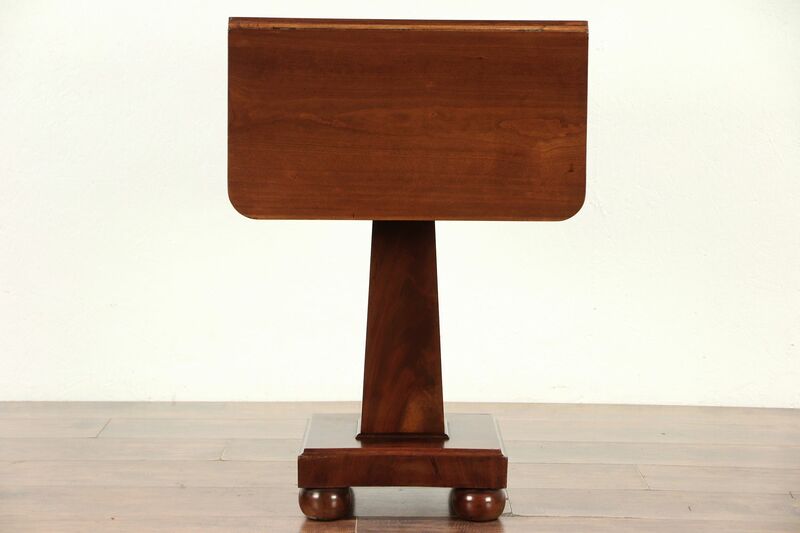 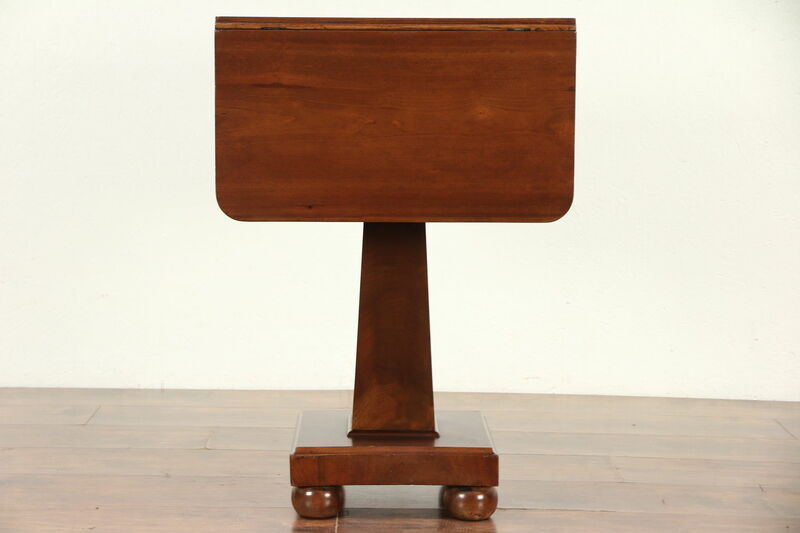 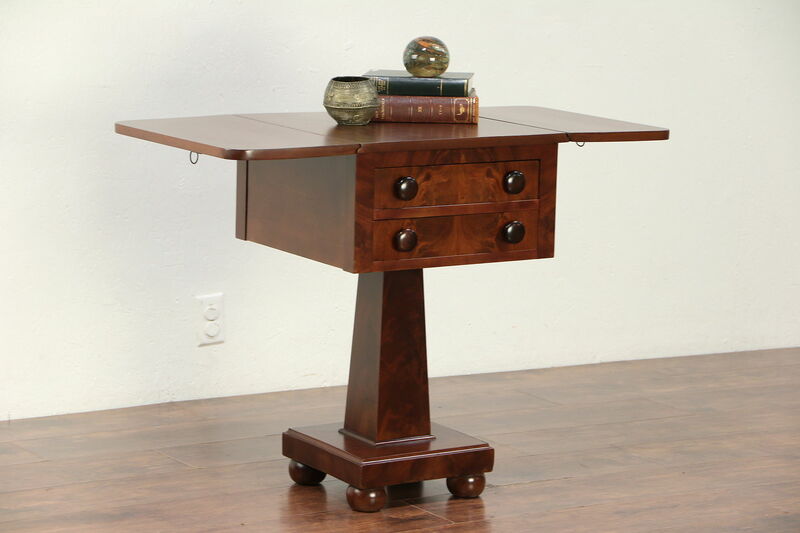 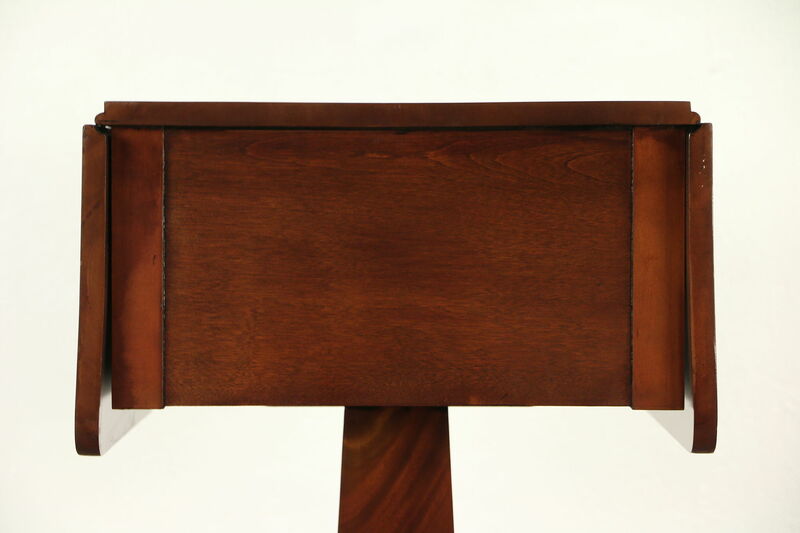 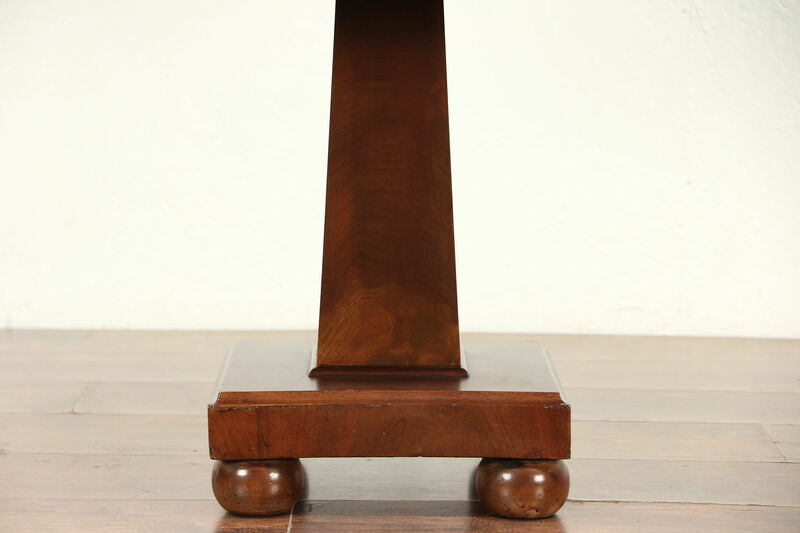 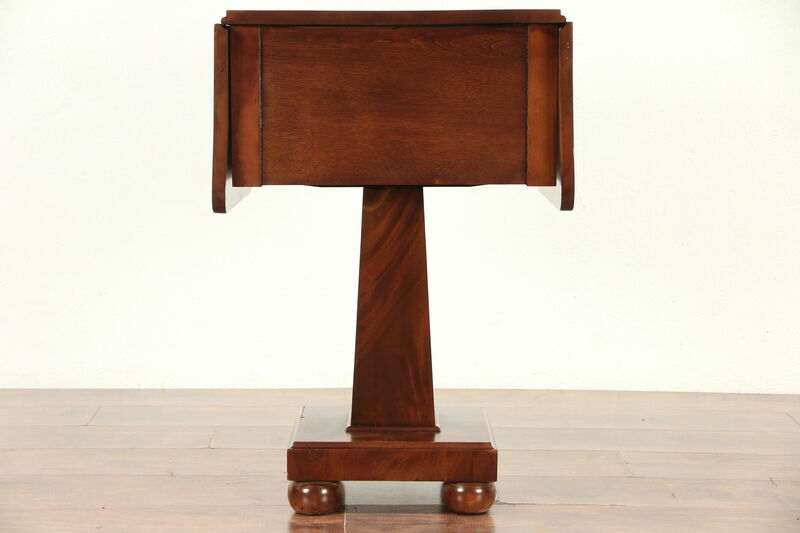 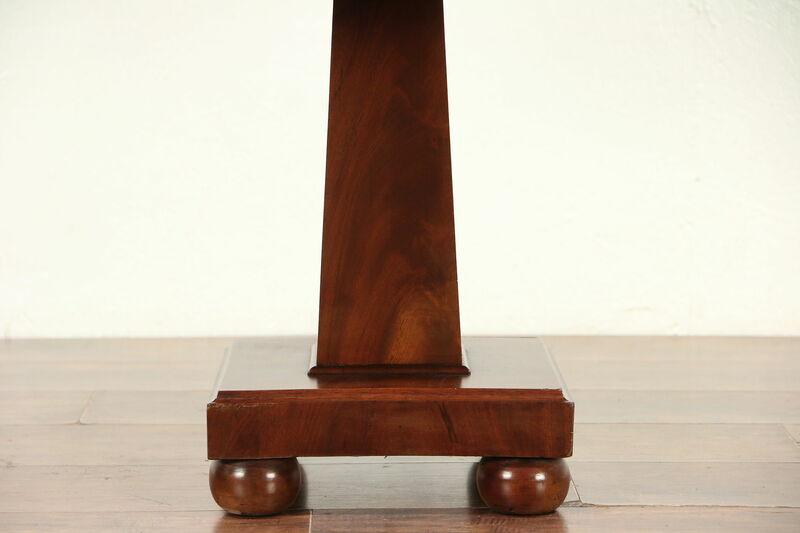 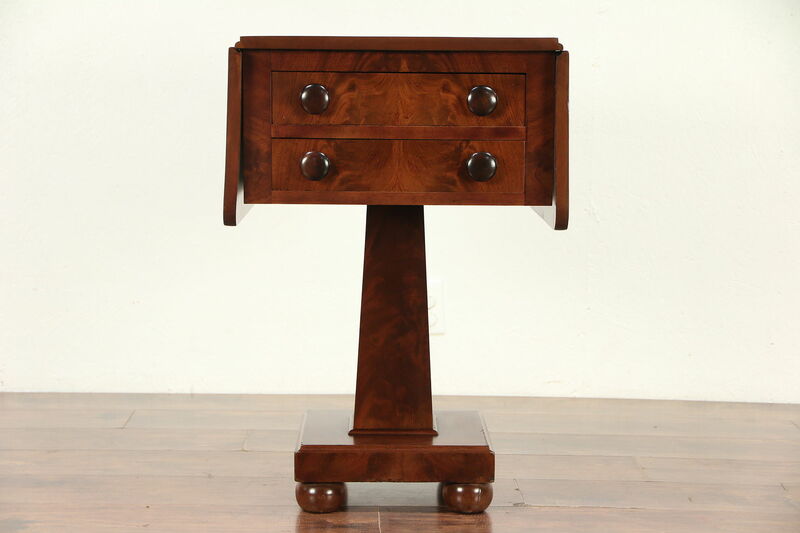 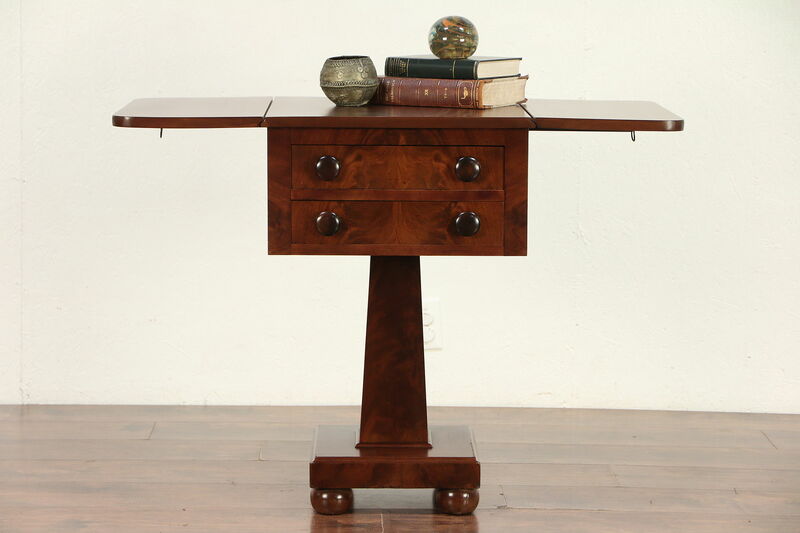 An Empire period dropleaf "Pembroke" design lamp table or nightstand from the 1830's is solid cherry with matched mahogany flame grain drawer fronts. 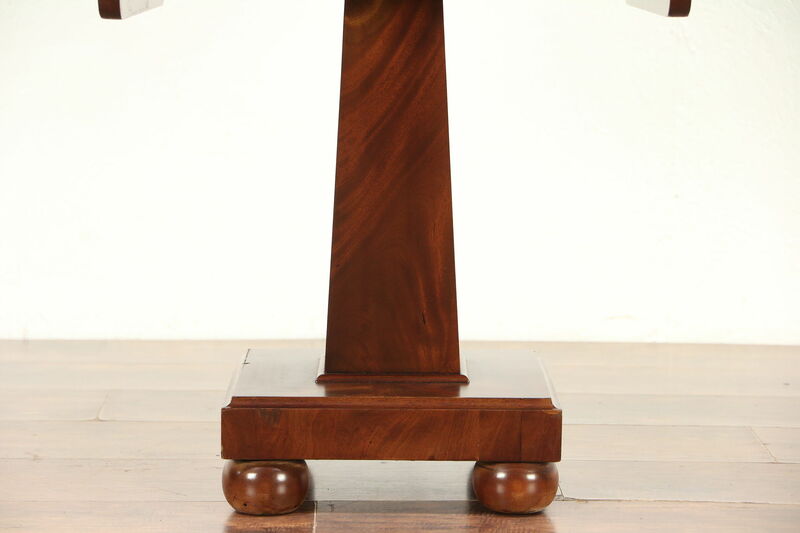 The pedestal base has bun feet. 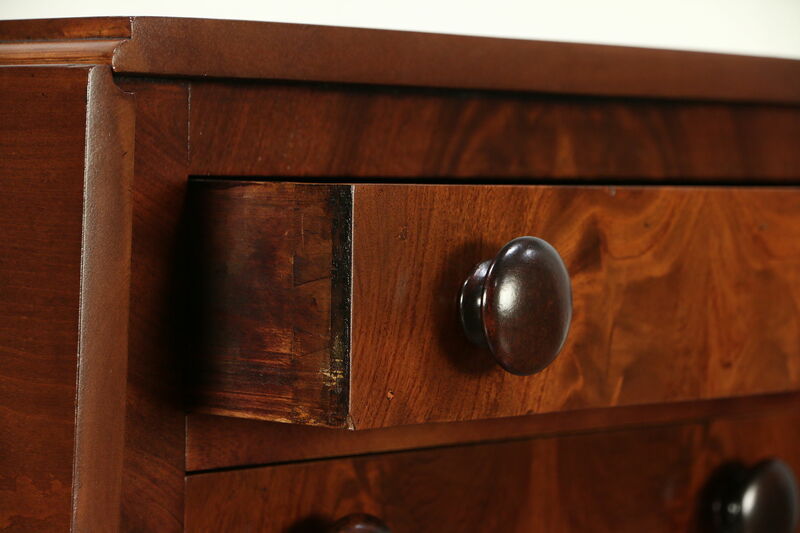 The restored finish is in excellent condition, preserving a few mars for a little antique character. 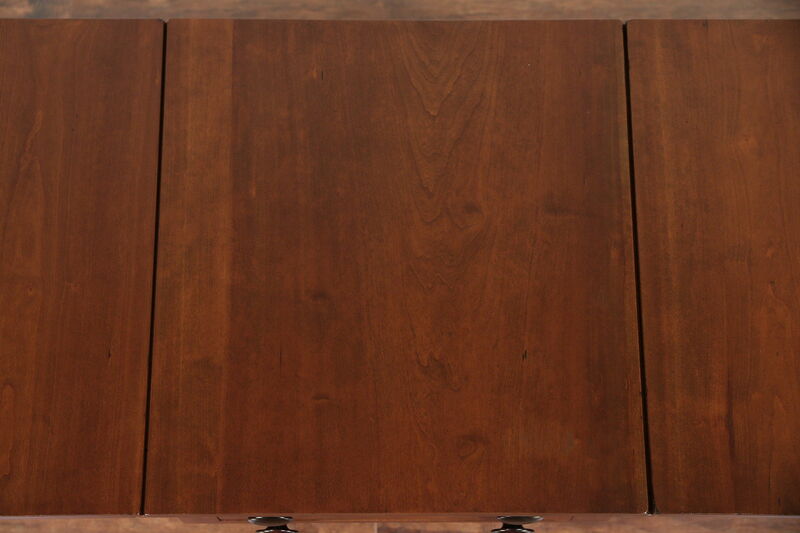 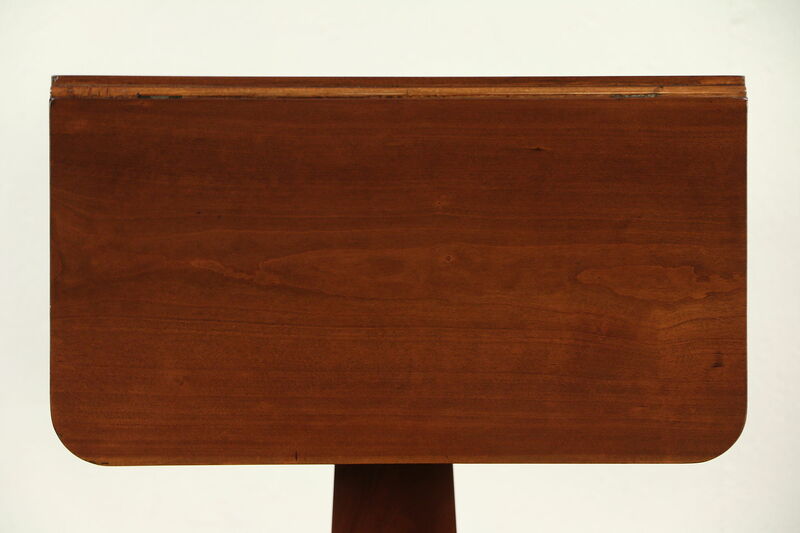 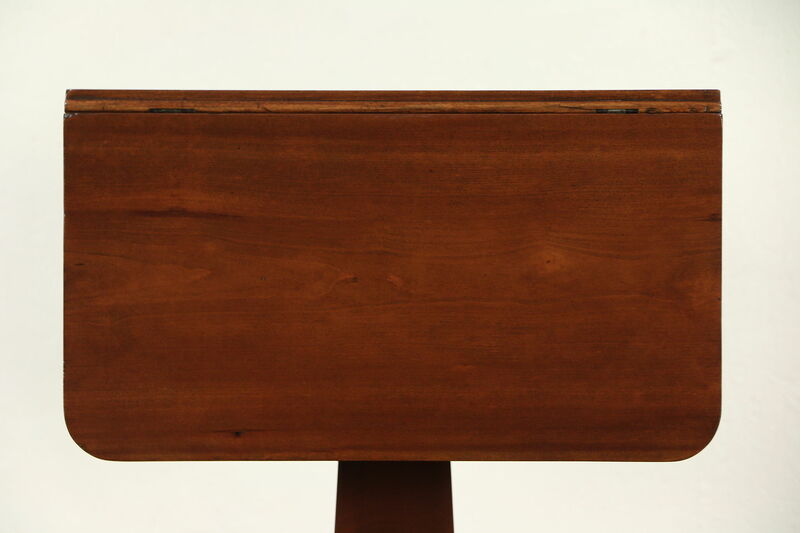 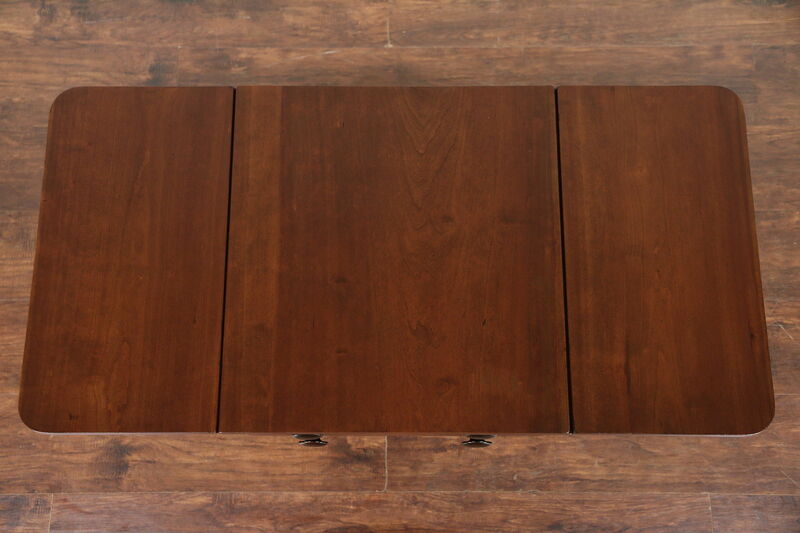 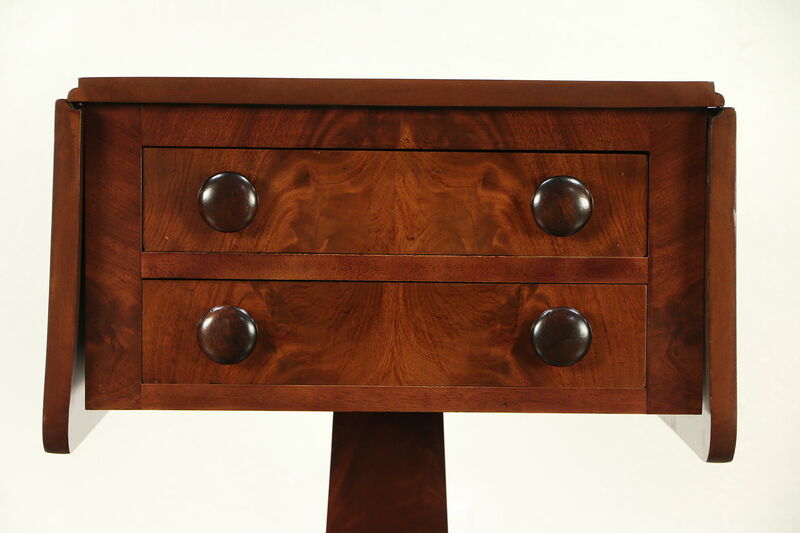 Drawers have hand cut dovetail joints on this American made furniture. 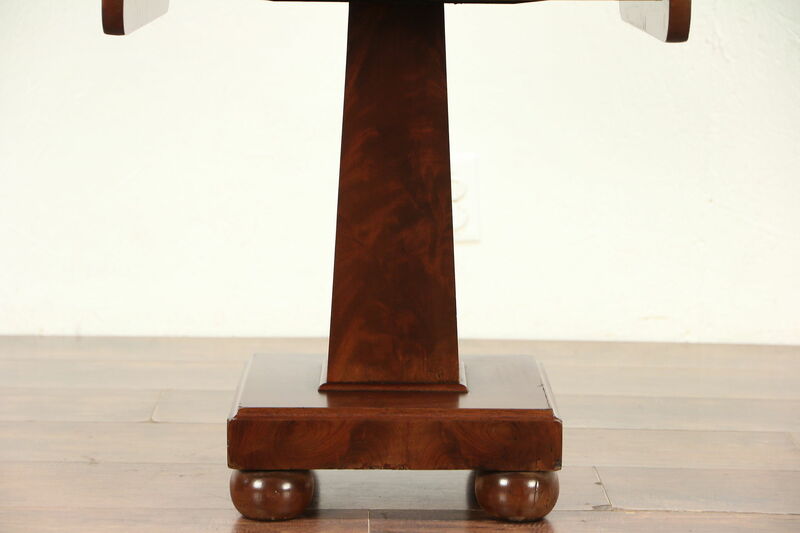 Measurements with the drop leaves down are 19 1/2" wide, 20" deep and 28 1/2" tall, with both leaves raised, width is 38 1/2" overall.